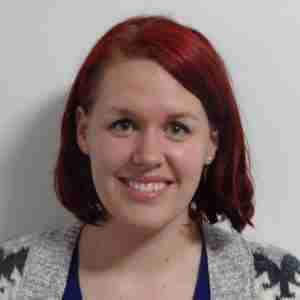 Olivia has held a lifelong passion for working with children and people in need. She attended the Uganda Christian University and graduated with a degree in Developmental Studies, prior to working with the Local Government Authority handling children’s rights cases and volunteering in community development. 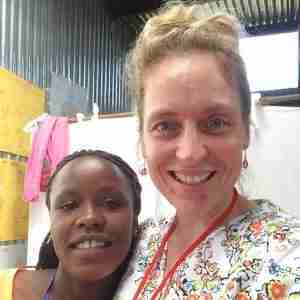 Her genuine adoration for working with the children and seeing them learn and grow has made her a perfect fit as a caretaker at Peace Home. Moses is a graduate of Uganda Christian University where he obtained a degree in business administration in 2012. He also posses a certificate in computer applications from Makerere University. Previous work experience includes working for Mulago National Referral Hospital in the Accounting Department. Moses is a well-organized and highly motivated person who loves sharing his knowledge with others. He has a strong passion for helping children in need and is proud to be a part of The Peace for Paul Foundation. Peter is our former security guard but we discovered he is very talented in home maintenance and can do almost anything. He now works for us full time on maintenance and building projects between both Peace and Hope Home. He always comes to work with a smile on his face and takes pride in completing every job very well, which is a trait we are lucky to have in the care for our children’s homes. Richard is the son of our long-time maintenance man Peter. Just like his father, Richard is a humble, dedicated, accountable team player. Over the years, Richard has often helped Peter on PFP related tasks, never expecting to be paid–only helping because he loves the PFP mission and wanted to help his father. Richard is a mechanic, a driver and is skilled in all things maintenance. PFP is proud to finally welcome Richard as an official part of our team. Florida graduated in 2013 from Uganda Christian University with a degree in Business Administration. She realized quickly, however that her passion is in working with children and especially children from vulnerable backgrounds. She says her dream is to see those that she works with grow and smile and live a healthy and happy life. Florida is a caring, flexible and cooperative person and we are so excited to have her as a part of our team! Clare is a vital part of the PFP team, working as a caretaker at Peace Home. She never had the opportunity to attend school as a child herself, but she has always understood the importance of education. Clare is a widow who has raised four children on her own. Due to her positive attitude, hard work and perseverance she has succeeded to educate each one of them—no small feat with the high cost of education in Uganda. Clare has dedicated her life to making the lives of children better. Prior to joining the PFP team, Clare has had 13 years of experience working full time in a children’s home through another organization. Her many years of experience shine through in her interactions with the PFP children. We know we are lucky to have her as a part of the team. Having worked as a nanny with Peace Home since December of 2014, Oliver is universally loved and appreciated. As a member of the immediate community, if Oliver isn’t cooking or cleaning at the home then she is reliably nearby and ready to help anyone for any reason. Always happy to draw on her own child-rearing experiences to give advice to the PFP kids and caregivers, Oliver is a fantastic friend and invaluable team member to Peace for Paul. Henry is a hard-working man with a passion for supporting underprivileged children. He understands the importance of focus and education in securing a positive future for oneself. He finished two semesters of University, but dropped out when he could not raise enough fees to continue on. He has obtained a certificate in counseling and guidance and loves using his skills to help children grow and prosper. Henry has been hired on as a daytime security guard at Peace Home, but has dreams to continue his education when the opportunity presents itself. We are proud to be working alongside Henry and respect his contributions as a strong member of the PFP team. Bosco grew up in family where education was not a priority and he never went to school as a child. Bosco realized that he was not satisfied as a farmer, as it was his dream to provide security to the citizens of Uganda. He sought formal training as a government soldier and worked as a security guard in Jinja town. In time he would come to find the Peace For Paul Foundation and where he feels he is meant to be. He believes children deserve to be learning and living in a peaceful and safe environment; providing security to this group of young Ugandans brings him much satisfaction. His commitment to that end, his training and experience all uniquely qualify him to work as a nighttime security guard for the Peace For Paul Foundation. 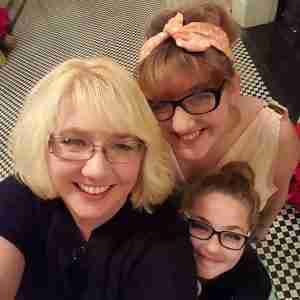 Christine comes to PFP with a very long history of nursing experience. She has worked with sick and malnourished children as well as adults and have seen many back to health. Christine strongly believes that a child with a healthy body and mind lives a happy life. She lives on site at Peace Home and provides tender care to the PFP children. They can easily approach her with health problems for immediate attention. Isaac has come to us with many years experience providing security guard services for The Peace for Paul Foundation. He also holds a degree in Social work and in Computer studies. 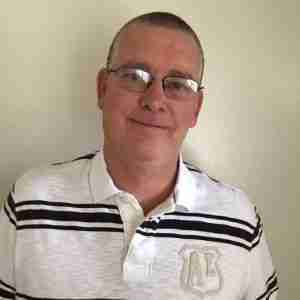 Due to his dedication, skill and passion, he has been promoted to Activities Coordinator/Caretaker at Love Home. He always spares time to play with the children and treats each one as if they were his own. We are grateful to have this skilled, compassionate and hard-working man as a part of our team! Santa Attended Young Women’s Christian Association and graduated with a diploma in Social Development. She spent years volunteering with various children’s organizations and over this time has refined her skills in caring for children’s physical and emotional health. Santa has a passion for children and for helping them face and work through their life’s challenges. PFP is proud to have such a caring, educated and experienced woman as a member of the team at Love Home. Amina has been a nanny for Hope Home since 2014. She firmly believes every child should go out into the world fully-equipped with a wide range of life skills and in her time with us she has proven stellar at ensuring just that. Whether it is by cooking an excellent meal or working with the boys, Amina ceaselessly provides motherly love and the sense of family the children of PFP want and need. Stephen is a special young man indeed. Due to troubles paying his tuition he had to stop his formal schooling during his senior four year. He has a burning desire is to complete his education and so he began searching for work in order to save money for his studies. He now works for PFP and keeps the children and workers safe by diligently guarding the gate and monitoring visitors to the offices. . His ability to relate to the children and so intimately understand the Peace For Paul mission are part of why he is such a wonderful addition to the team! Julius attended school through Senior three, but was unable to continue due to the cost being too high for his family to afford. After Senior 3, Julius went to work at Nyanza Textile Company to help support his family. .Julius has two children of his own now and wants to see his own children finish school and have a bright future. He has a passion for helping young people realize their full potential and works hard at Hope Home as our security guard to ensure the safety of the boys living there. He is kind to the children and offers advice whenever possible. We are proud to have Julius as a part of the PFP team. Innocent is a graduate of the Lords Meade Vocational College and a caretaker at the PFP Hope Home. His professional background includes computer application training from the Uganda Military Engineering College, a USAID certificate in comprehensive clinical health, and history as a guidance counselor for his church. His excellent professionalism and skills with the children during his tenure with PFP make him an indispensable Assistant Warden. A tireless work ethic and nurturing influence on the children make us proud to have Innocent on board. A year of teaching Primary School, a Bachelors in Education from Makerere University, and an enthusiasm for seeing children learn and flourish makes Denis an excellent caretaker for the PFP Hope Home. Having been sponsored by a similar program growing up, Denis is able to relate to our kids in a uniquely personal way. It is his opinion that the best thing about working with children is the privilege of getting to partake in their growth into good people and active community members. At Peace for Paul, we know he is going to do just that. Juliet has always known what it means to work hard. She finished her schooling in Primary 7 and, as she was unable to afford school fees for Secondary school, she went straight to work. Her first job was as a house maid for an Indian Family in Jinja Town. Through her work with this family, she learned how to cook, prepare, and present delicious meals. She discovered that she had a great interest in catering and eventually attended a government training on catering. She now works with PFP as the Hope Home nanny and says that she loves her job and loves working with the children. She takes great pride in helping guide the PFP children and bring them up right. She encourages and counsels the children so that they may grow up to be contributing members of their community. The PFP family is proud to have Juliet as a part of the team! Innocent graduated from Senior three level in secondary school and from there attended a safety and security course at WACOF Private Security Company. They had been so impressed with his work ethic that they offered him a job with their company after he received his certificate. He worked there for many years before coming to PFP with enough experience under his belt to provide excellent night time security to the PFP children. Innocent is a kind, hard-working man who takes great pride in his work. He says that he loves providing security to the people that he lives with and as his job as well. He says that he is passionate about his work with PFP and is dedicated to ensuring that he always does a great job. We feel safe knowing that at night, our children are safe with Innocent on the job. Waitalo finished Senior Level 4 and went on to train in security guarding. Before joining PFP, he worked as a security guard for 8 years. Waitalo is hard working and we are proud to have him as a member of the PFP team. Fred has worked with PFP for many years in multiple different capacities and has found his niche as our on site farm manager at NRF. He works hard to ensure the overall success of the farm and he takes great pride in his work there. Fred holds a diploma in Business studies from Makerere School of Business Studies and understands the value of farming as a means to greater sustainability for PFP. We are proud to have him as a part of the NRF team. 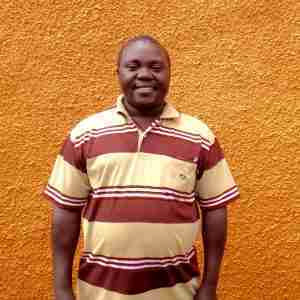 Henry is a Senior 4 graduate from the Kisoro District of Uganda. He comes to us with a passion for farming, keeping animals and working toward sustainability. A hard worker, good listener and a great advocate for the farm. Henry is a great fit and we are proud to have him as a part of our team! Fred is a Senior 4 graduate and is a fluent English speaker. He comes to NRF with experience working both at a piggery and at a poultry farm. From the time he was small boy, Fred has been passionate about farming and has worked hard to learn more and to become proficient in his work. He is a skilled bow and arrow man and is a great addition to our team. Emmanuel is the director of Mufumba Medical Center, Co-Director of Jinja Regional Friendship Pharmacy, founder and executive director of Uganda Mental Health Fellowship and is the International Trainer of the Reason to Hope Family Training Program. He has trained in Uganda, Kenya, Egypt, and Italy. He treats all of our children and advises PFP on proper health practices and contributes greatly to special projects. 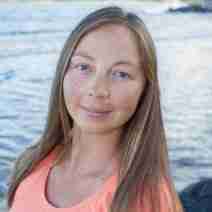 Heidi graduated from Washington State University in 2005 with a Bachelor of Science in Wildlife Ecology. 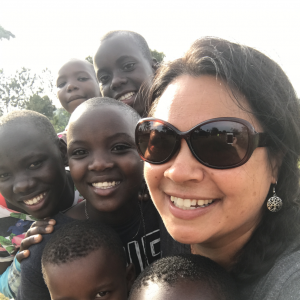 Upon graduation, she traveled the world for years but after spending four months in Uganda she switched tack, returning to the US with a vision for rescuing children of the Karamojong tribe. 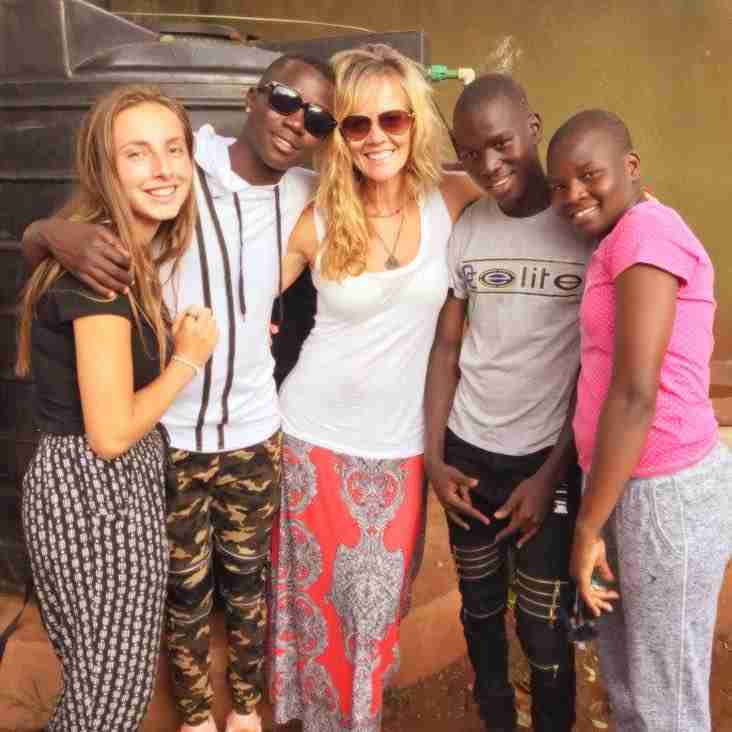 With the help of many, that dream has come true and the organization Peace for Paul continues to grow under Heidi’s guidance, perseverance, and trips back to assess the program and its smooth operations in Uganda. As a co-founder of PFP, Ellie has been with the organization since the beginning. In addition to her work in Uganda, she has participated in humanitarian efforts in Ukraine, Mexico, Ghana, Thailand and stateside. 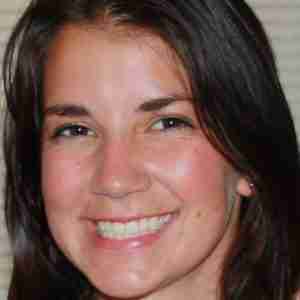 Ellie graduated from Westminster College with a Bachelor of Science in Public Health. She currently teaches personal and family health as an Adjunct Professor at Snow College in Utah. Brandi graduated from Minnesota State University Moorhead with a degree in Legal Studies. She first visited Uganda in 2009 and fell in love with the children and PFP’s cause. Through extended stays at the children’s homes, she works to organize and develop programs as well maintain operations year-round. Brandi feels grateful to have found such a meaningful and rewarding direction with the help of these children. Lisa joined PFP shortly after it’s inception and is thrilled with how it has flourished. 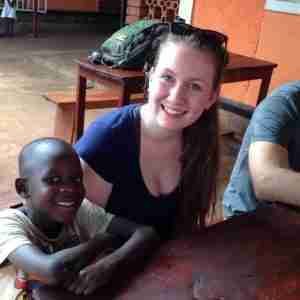 She enjoys regular trips to Uganda to visit the children and counts them among the greatest blessings in her life. Lisa considers her sponsored children Bosco, Gloria and Joseph to be members of her family and looks forward to her upcoming visit. She graduated from the University of Regina in Canada with a Bachelor of Arts in Journalism and Communications. Tomasz graduated from Washington State University in 2006 with a Bachelor of Science in Construction Management and a Bachelor of Arts in Business Management. He began volunteering his time with Peace for Paul in early 2009 and has played the lead role in managing the design and improvements of Hope and Peace Homes. He contributes greatly to the general operation of PFP, organizational structure and development. Tomasz is currently managing construction projects in Uganda and has previously held the position of Vice President. Cody graduated from NDSU in 2011 with a degree in University Studies. Cody and his wife Allison love to travel the world and have been supporting their PFP child, Samuel since 2012. IN 2016, they had the opportunity to meet him in person while on a Social Mission trip to Uganda. 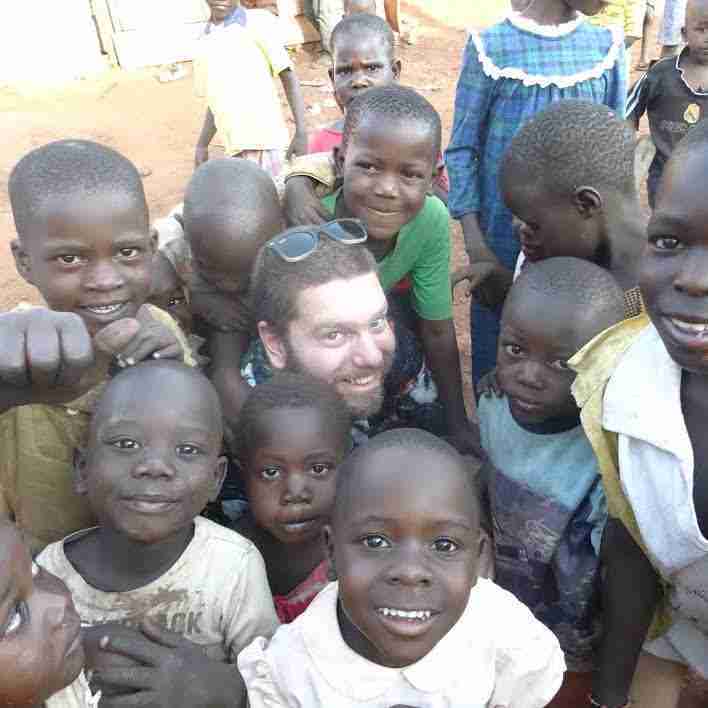 Cody loves how personal and close knit the Foundations Members, Directors and Uganda team are. Cody and Allison feel a deep and special connection with their “little” Samuel and are looking forward to get back to Uganda again.